Those of you who enjoy simply stated, thoughtful and elegant songwriting with a touch of class should head out to one of the Tuesday night residency shows of Boston/NYC musician Dave Godowski’s alter-ego, John Shade. He takes his name from the fictional poet in Vladimir Nabakov’s novel Pale Fire [this is the second band I’ve covered in less than a month who’s named for something to do with Nabakov… weird.] 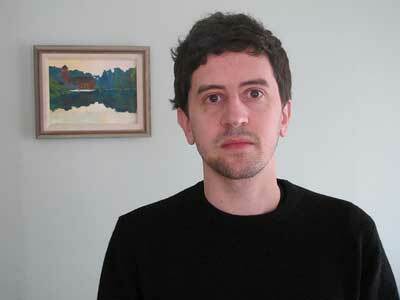 His debut album, the wryly titled All You Love Is Need, was recorded last autumn at Bon Iver‘s studio in Wisconsin (after opening up for them at a few shows). He is now performing with The Neave Quartet, who will be with him at the Lizard Lounge for three consecutive Tuesdays – May 4, 11 and 18. They’re also recording a version of the album with strings, which is being produced by Paul Kolderie (Radiohead, Pixies, Warren Zevon), who happened to catch one of their live performances and wanted to get involved. 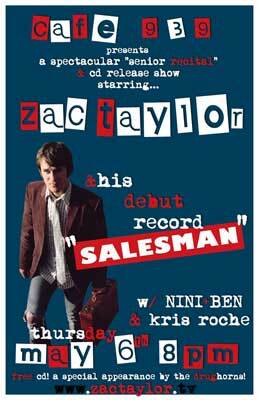 Zac Taylor, with Nini & Ben and Kris Roche @ cafe 939 – Thursday, May 6. Joining Zac and The Drugs this evening will be Nini + Ben and Kris Roche. Nini + Ben are a very cool folk-Americana quintet that includes Nini Fabi on vocals, Ben Gebert on acoustic/electric/slide guitars, and Tommy Bohlen on pedal steel. Kris Roche is a Boston-based musician and street performer (he frequently plays on Boston Common) who released an EP Anything But Alone last summer. His music is jazzy, soulful, with smooth vocals and contributions from a host of others on guitar, piano/keys, organ, sax, percussion, bass. If you miss this show for some reason, Zac and The Drugs will also be playing at Tommy Doyles in Cambridge on May 21 and the Plough & Stars in Cambridge on June 12.